Ward councillors in Osizweni in Newcastle resorted to pulling names out of a bucket on Monday, 18 March, to allocate jobs on a R2.3bn road contract in the area. About 150 residents gathered in a local school yard in Osizweni with their identity documents for the so-called "finder finder" recruitment process for temporary road contract workers. Ward councillor Vukile Kubheka watched over the process where residents’ identity documents were put into two buckets. Twenty-two IDs were pulled out – those of eleven men and eleven women – for work on the tar road managed by Umpisi Group, a Durban contractor. This followed an outcry by residents at a recent meeting, accusing ward committee members of favouritism in allocating jobs. Forty-three of 65 workers had already been recruited. “There is a high rate of unemployment in this township, so one has to understand the people’s concerns,” said Kubheka. He said construction would take five months. The contract workers would earn R1,300 a month. Siphesihle Simelane, 25, was one of those who got a contract. He comes from a family of 15 who all rely on social grants and since matriculating in 2012 has not had a regular job. 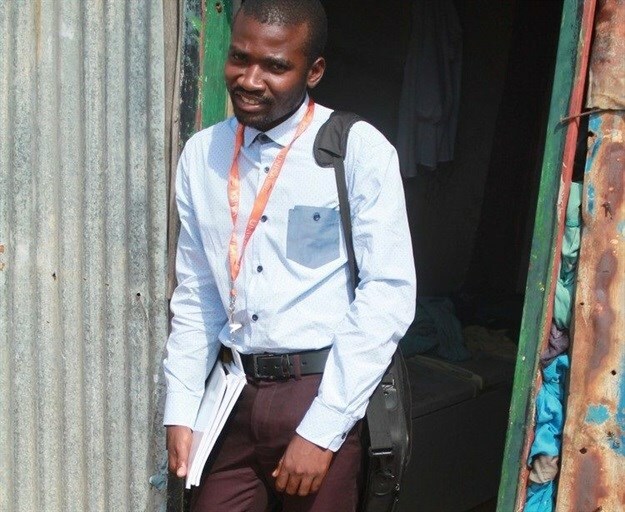 However, with help from his church, Simelane managed to register for a law degree at the University of South Africa (UNISA) last year and has secured a grant from the National Student Financial Aid Scheme. He said the roads contract money would allow him to buy textbooks and “help at home where I can in these few months”. GroundUp is a community news organisation that focuses on social justice stories in vulnerable communities. We want our stories to make a difference.